Did you check out all the looks at the Met Gala? 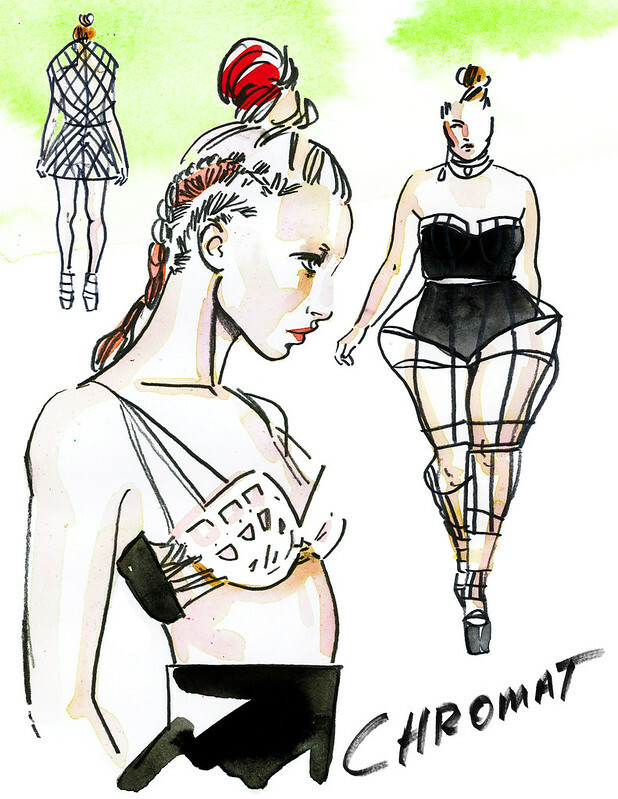 I’m wondering why everyone didn’t wear Chromat for ManusxMachina- Fashion in an Age of Technology. I felt like whipping up an illustration this morning in homage to Becca McCharen’s amazing work that’s inspired by architecture, urban design and structural experiments for the human body. So innovative and boundary pushing. I loved that the models on the NYFW runway weren’t all rail thin and white.